Pakistan is the bastion of Islam, and Muslims in Pakistan the vanguards of the Islamic movement. They will shortly take over the world and govern it with Shariah laws. The only problem is for us to draw a consensus as to who really is a Muslim; the Sunnis or the Shias, sub categorised further into Barelvis, Ithna Asharis, Deobandis, Wahabis, the Ismailis or any other less popular sects? We’re at least a step closer to achieving that end. Ahmadis are non-Muslims, and our constitution corroborates that stand; if people from that sect still decide to be tactless enough, so as to defy us on it, well we have article 298B and 298C of the Pakistan Penal Code (PPC) to ensure they fall in line. So, my contention is not if Ahmadis are Muslims or not, nor is it on if they have a right upon the Islamic terminologies and symbolism. No folks, I’m a man of democracy and of rule of law, therefore, if my parliament decides upon a law ordering something to be the case, I won’t speak otherwise. However, where a law exists and is not being implemented, I think of it as my moral duty to point it out and to request the authorities concerned to adhere to it. When a noble woman, named Fatima, committed a theft and Usama ibn Zayd was made to intercede on her behalf by the Arabs, the Holy Prophet (pbuh) asseverated that all are equal before law, and that not even Fatima (RA), Prophet (pbuh’s) own daughter, would have been spared the punishment had she committed the crime. Immunity, therefore, is the very antithesis to the Islamic teachings. Muslims or non-Muslims, patricians or plebeians, rich or poor, whosoever disregards legal rules must be held accountable. Why then should those who contravene article 297 of the PPC, a part of the much argued blasphemy laws, not be brought to book? The purpose of blasphemy laws wasn’t strictly to defend Islam, but rather to prevent religion related conflicts, and to ensure that non-Muslims enjoy equal protection through these laws as Muslim do. They need to be utilised the same way. The latest episode of the infringement of the article 297 of the PPC occurred in the model town area of Lahore, when fifteen armed men vandalised over 100 graves belonging to the marginalised Ahmadi minority. No case has been registered; no one has been booked. In fact, the concerned police authorities have feigned ignorance. Earlier this year, similar incidents have been reported from Hafizabad and Jeranwala too. No vigilantes to ensure justice, however, not that I condone it, no suo motu. I do not intend to harangue the readers, nor is it my intention to give out a sermon as to what miseries the denial of justice can inflict upon a nation, but it must be emphasised that without providence of justice we cannot expect the people to obey laws. Accountability, wherever neglected has brought about a culture of delinquency, corruption in the government departments being a case in point. 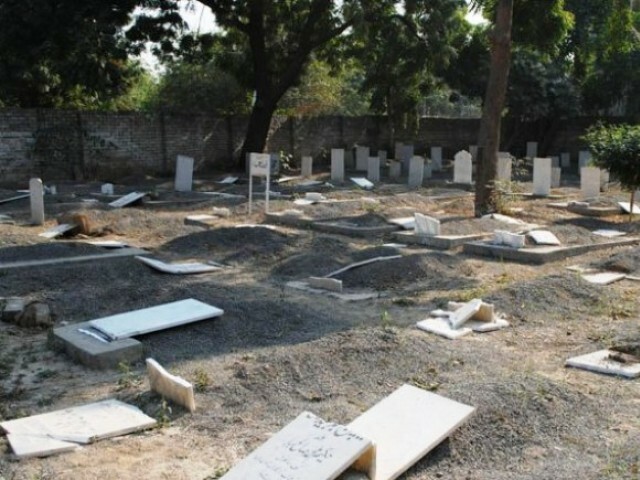 The trespassers of the Ahmadi cemetery, therefore, must be prosecuted to create a good precedent. Besides, Pakistan’s track record with regards to its minorities is already despicable. Incidents of the sort of Gojra, persecution like that of Rimsha Masih and the exodus of the Hindus of Sindh lays bare any claims we may have that we treat our minorities with compassion. In fact, Hindu marriages can’t even be registered in Pakistan. It is perturbing to see that the situation is only worsening by the day. The intolerance that has pervaded our society has made us forget the basic essence of Islam and everything that the Holy Prophet (pbuh) stood for. The desecration of the Ahmadi graves is only another indication of the quickly contaminating mind-set. We may notice the plight of the Gazans or the Rohingya Muslims, but fail to notice the excesses right under our noses. We too are Zionists to a few. We too are Burman monks to some. The nation needs to be taught that you’ve to give respect to earn respect. Empathy with the other kind, unfortunately, is not our best trait. If you cannot value the sentiments of others, you too would be affronted. That is the way the world functions. That is the truth of the times. What a shameful incident it was. I feel for the Ahmadi community of Pakistan. I’ve said it before, you can differ on whether Ahmadis are muslims or not, but to treat them like this is beyond disgusting. There’s so much more to say but I know it is pointless. The hatred against Ahmadis is not confined to a particular class. Everyone, from the labourer to the CEO, has ill feelings against the Ahmadis. The lower class result to actions such as grave destroying & murders, whereas the elite class discriminates against Ahmadis in the workplace. Very well said. Why are crimes against minorities not taken seriously? What do others beliefs have to do with us if they are not forcing them on us? Why do well feel a pathological need for everyone to follow our beliefs exactly the way we want them to do? who are we to deciede who is a muslim , that is a job only for the Creator. Pakistan is fast turning into a nation of witch-hunters in a state of moral panic. Anyone whose beliefs you do not agree with can be labelled a ‘kaafir’, a ‘blasphemer’ or an ‘infidel’ and then you have the right to harass and kill them. While we are at it, why don’t we return to the 18th century and start burning all perceived infidels at the stake. Oh wait, we already do that! In fact, we are a step ahead because we don’t even spare those who are already dead for they might rise up as zombies and threaten our social values and religious sentiments. So better destroy their graves as well. This is shame for law authorities in Pakistan who encourage these kind of elements to act against Humanity which is totally against the teaching of Islam. Perhaps until 1971 it was not a canard – hence the moderate majority went on to form a different country?. @Pessimist: You have a fan in me. Every single post of yours that I have seen so far, I agree 100% and they are always well articulated. Is it upto humans to declare what someone’s faith is – even elected humans? Or should the matter be left to God? My dear John I would like to greet you with Islamic greeting Assalamu Alaikum (May Allah keep you in peace). This is not the place where one can tell you the difference of Ahmadis and other Muslims. For this I recommend you to find someone who has proper knowledge of Islam. He/she may not be a Muslim but have knowledge of Islam. Because to find out a real Muslim in modern days is really a difficult task. But not impossible. There are millions of people proclaiming to be the Muslim but they are not as you can see all these comments on the article do you think these comments including the author are good Muslims or even have some knowledge about Islam. Sorry to all but no one making all the comments have even slightest knowledge of Islam or teaching of Holy Prophet. Who you are to judge and declaring the Ismailies as Non Muslims. I would suggest to read and learn. The heinuous act must be condemned at all levels in society. I am perplexed to see indifferent response from government at provincial or federal level. What is the definetion of insult?-Big flaw shame. Bravo!! what an understanding od democracy. If some bigots in parliaments decide to burn all the non muslims to death in this country you will accept it as being a man of democracy. 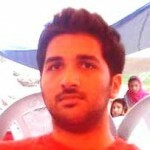 I am a Hindu not a Muslim, so I cannot tell you anything about your faith. I can tell you that I don’t know of any Hindu including myself who is able to follow everything that is written in our holy books (we have more than one). This does not mean we keep calling each other as not true Hindu and wajib-ul-qatl or disrupt people’s funeral processions of those that we think are not Good Hindus. We believe that theory of karma will apply, good deeds will be rewarded and bad deeds punished. Similar to what Bahai’s face at hands of Iranian. The irony is that they don’t even call themselves muslims and are still persecuted as heretic sect of Islam. A Pessimist is mostly a closet realist…and realism is frowned upon in modern times. Assalamo alaikum wa rahmatullah wa barakatohu. Please remember that no person has a right to declare someone a Muslim or non-Muslim. In the Holy Prophet’s (saws) time, recall that a Muslim once killed an opponent in a battle who declared the Kalima at the last moment before the Muslim killed him. When this was reported to the Holy Prophet (saws), he was furious so much so that the Muslim who had killed that opponent felt it would have been better for him to have died rather than have upset the Holy Prophet (saws) like so. The Holy Prophet (saws) said that the Muslim was not God and had was not All Knowing to know what had been in the opponent’s heart. If he had professed the Kalima, whether it was sincerely done so or simply to save himself from death, a person can not and should not judge because a human can not look into someone’s heart and judge his/her intentions. Only Allah can do that. The Muslim should have spared that man’s life and considered him Muslim after he professed Kalima. i am very shocked by hearing the this news, how one can do it? This is a Shamefull act which thay are done. Allah is one witness on this act. So, ready and seen His Judgement/decision. All Ahmedies are waiting for His Judgement/decision. Lets see what act will done by HIM(ALLAH).